If you follow me on Instagram (@LivLight_), you know I am obsessed with homemade soups. 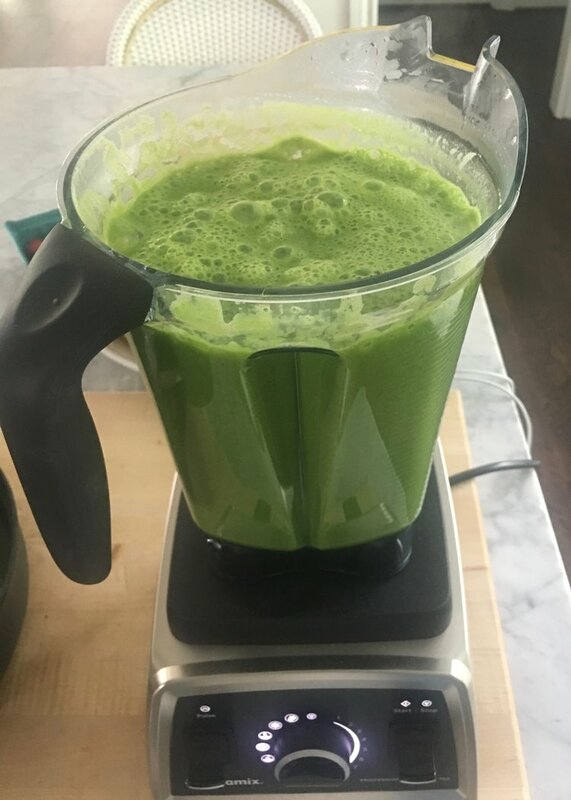 I have always liked soup since I was a child, but it was not until I got my first Vitamix that I really fell head over heels in love. Have to sidetrack quickly to tell my Vitamix story…I was about to turn 30 and my mom called me one day to ask what I wanted for my birthday. 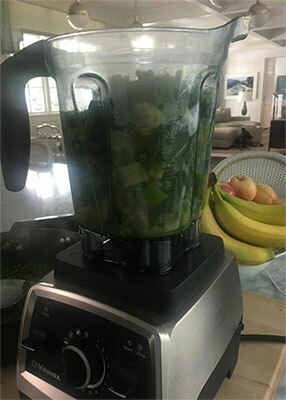 I quickly replied, “definitely a Vitamix, pllllllease!! !.” With total shock in her voice, she responded, “you want a BLENDER for your 30th birthday?!? !” Yep, that’s what I wanted, because a Vitamix is definitely not just a blender and they cost a lot of money! Needless to say, it is still one of the best gifts I have ever received. I literally use it almost everyday, sometimes 2-3 times/day! Now, back to my soups. 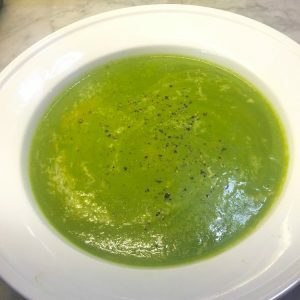 In the past seven years, I have made every soup you can possibly imagine in my Vitamix, but it was not until this summer that I discovered my favorite. 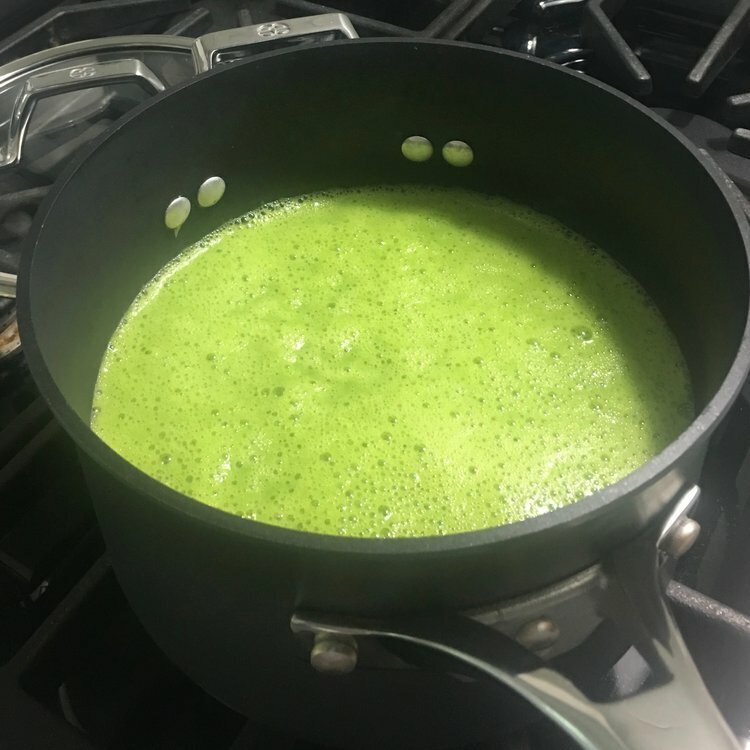 It might not be my best tasting soup (though it is delicious), but it is my favorite because of the amazing health benefits that come along with it. The inspiration started with one of my best friends in New York, Candice Miller aka Mama of the awesome blog Mama & Tata (www.mamaandtata.com). Candice has an amazing body, partially due to her commitment to daily Tracy Anderson, but more likely from her impeccable eating habits. She swears by a nightly puréed veggie soup (in addition to whatever else she is having for dinner). Hopefully we can get Candice to spill on all of her eating secrets in another LivLight post sometime soon, but we’ll stick with soup in the meantime! She actually gave me her pea soup recipe, but I added a bunch of other veggies and it quickly became my favorite. 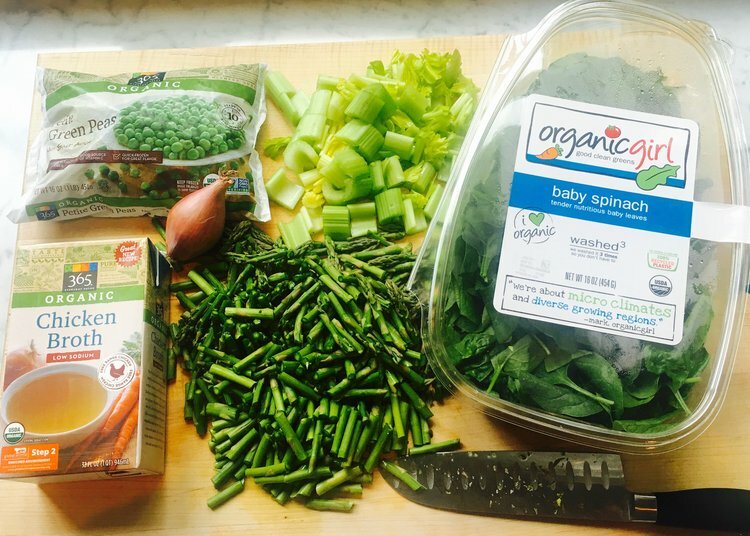 It is super filling (to help you from overeating other things that may not be as healthy) and loaded with tons of greens, which we all could you more of (one of the few foods where more IS better!). It also happens to be super simple, makes a huge portion and freezes beautifully. Heat oil over medium heat and add thinly sliced shallot. 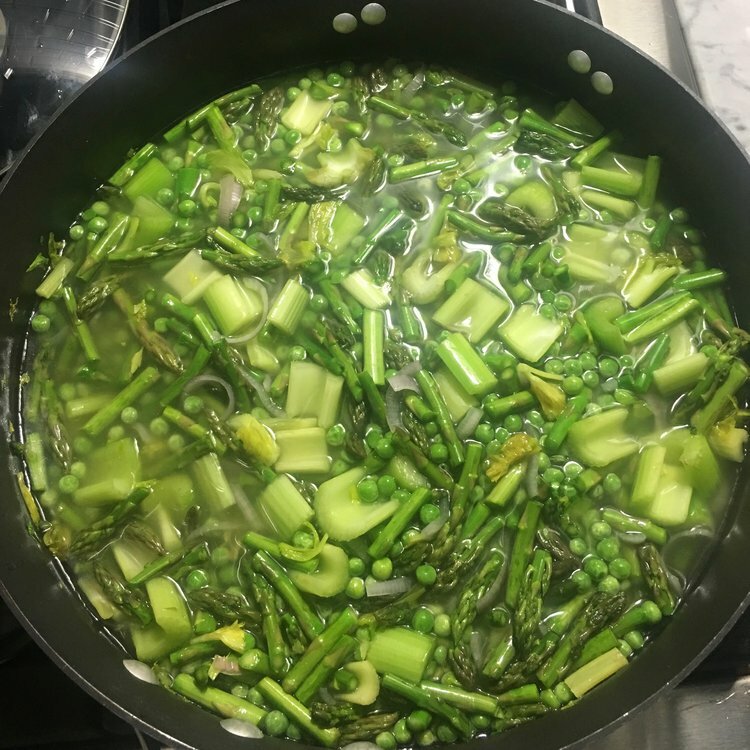 Sauté until slightly soft and add celery, asparagus and peas. 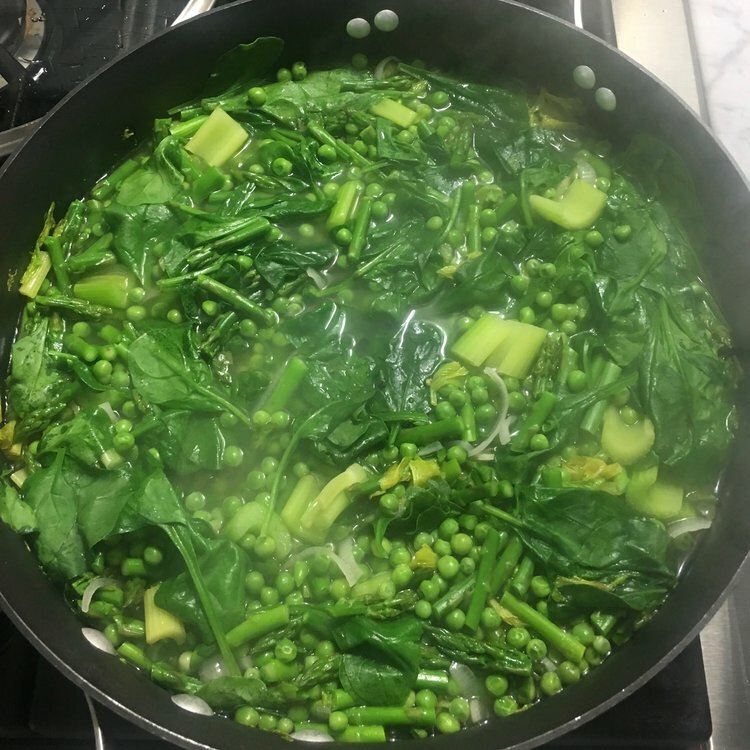 Stir until peas have broken up and vegetables have started to soften. Add broth and bring to a boil. Add spinach and cover for two minutes. 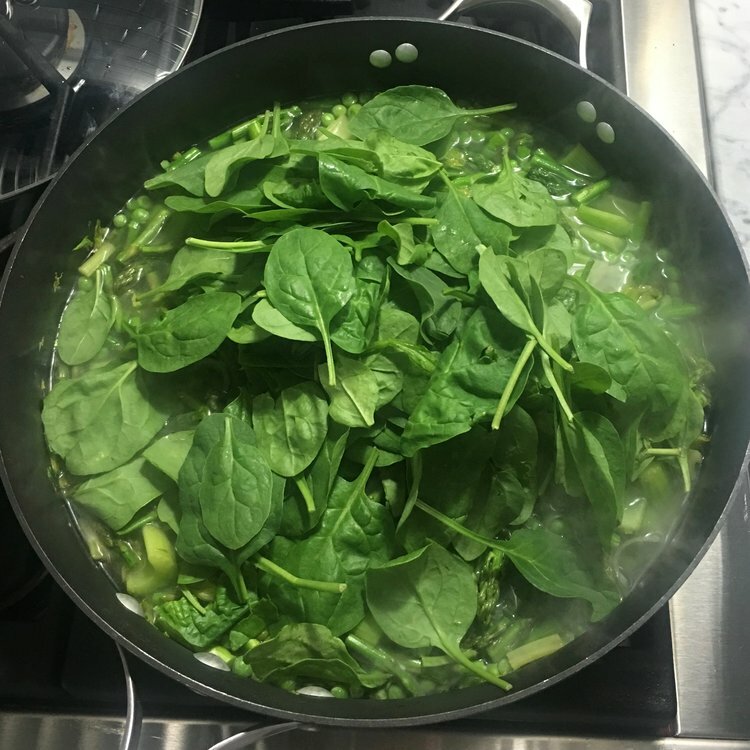 Once spinach has wilted, give it one good stir and remove from heat. Carefully ** add to Vitamix and puree until smooth. You could also use a hand held immersion blender. This may need to be done in batches. 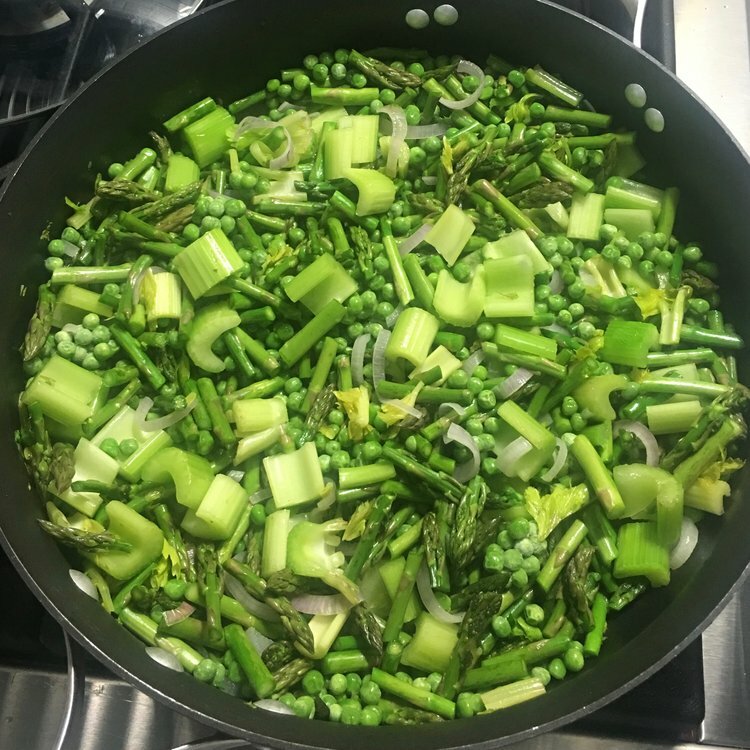 I usually place half of the finished product in a glass container to let cool before freezing for later use and pour the other half in a pot on the stove to keep warm for dinner. Pour in bowls and season with salt and pepper and a squeeze of fresh lemon. Grated Parmesan is great too if you are not sensitive to dairy and/or vegan. If so, you may opt for Nutritional Yeast flakes, a delicious substitute for cheese. **WARNING: make sure lid is on securely and do not fill above the maximum line to avoid overflow and risk of burn. Additionally, start your Vitamix at level 1 and slowly move up as needed to get a smooth purée.